This engineering office and manufacturing plant still used classic ASP code, which is similar to PHP code but older. This seriously limited design options and forced creativity. But a great marketing product was the result. 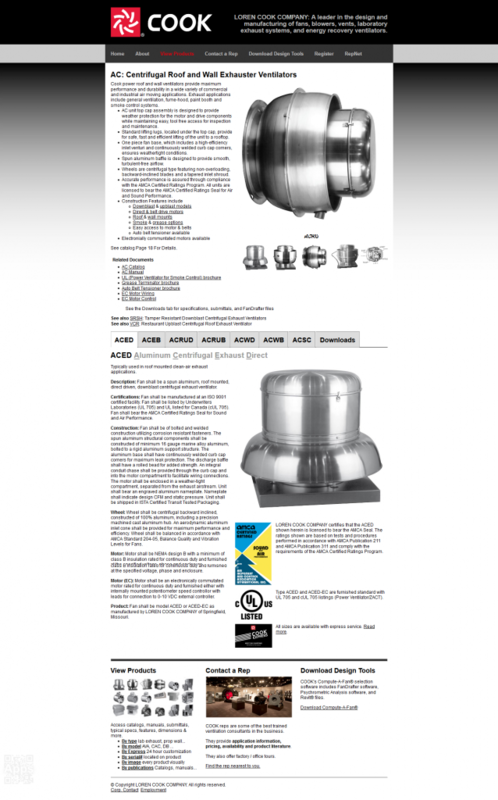 The navigation was simplified and product searches became faster and easier. Potential customers were able to browse more than 100 products, as well as photos, specifications, and instruction manuals. Additionally, this site includes registration and login pages that are part of a customer relations management system. The sales force can monitor traffic, based on regions and follow up with clients. 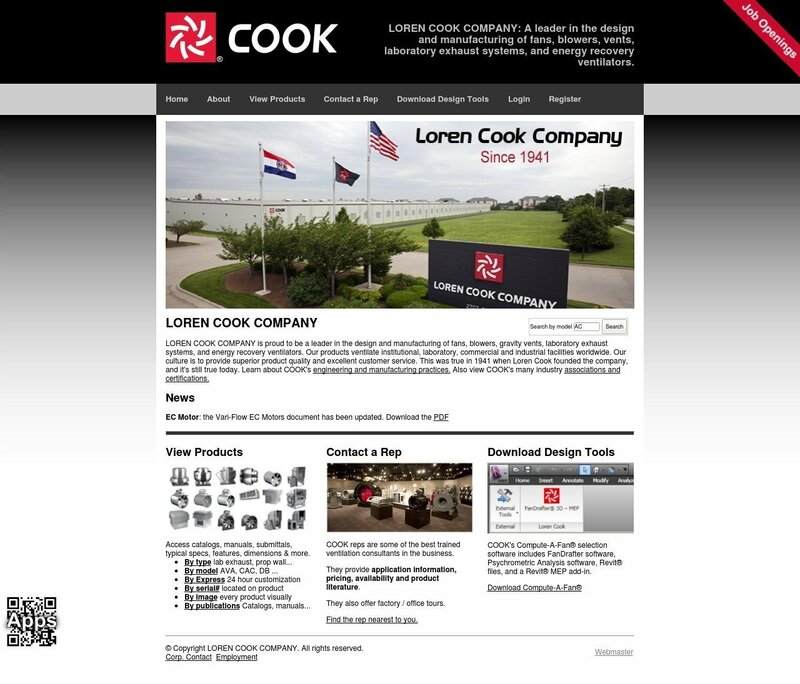 While working with Loren Cook Company, I also designed their product catalogs, manuals, flyers, and signage. I also worked on their mobile app. Thanks to Jeffery Sweet for the factory photography.